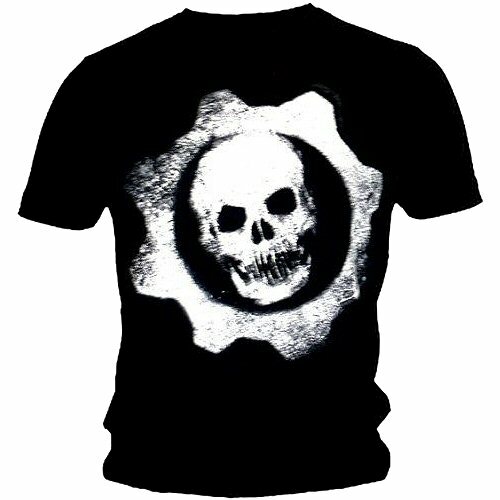 Buy Gears of War 3 Dripping Wheel T-shirt [M] in India at the best price. Screenshots, videos, reviews available. Show other geeks and gamers what great taste you have when it comes to games and clothes with our large collection of video game inspired t-shirts. From Atari to Xbox 360 and Mario to Mortal Kombat, we have a t-shirt fit for every fan! This high-quality round neck cotton t-shirt has been designed with comfort and style in mind. Featuring sharp graphics, this t-shirt is an officially licensed product.